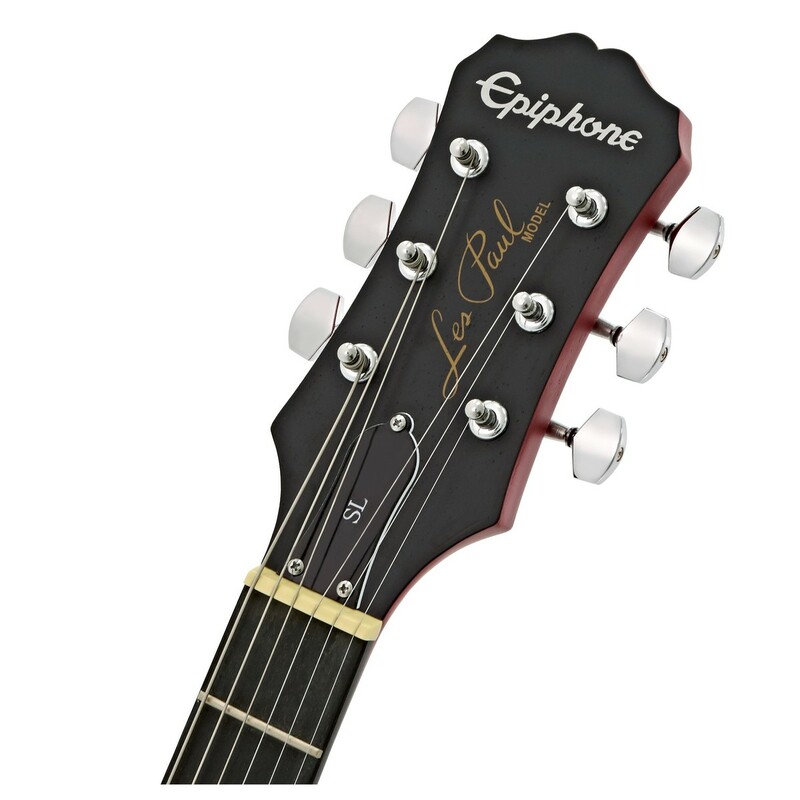 The Epiphone Les Paul SL is the most affordable two pickup Les Paul ever made. With a slim, lightweight poplar body and Epiphone Ceramic pickups, the SL produces a great sound while still being easy to handle. 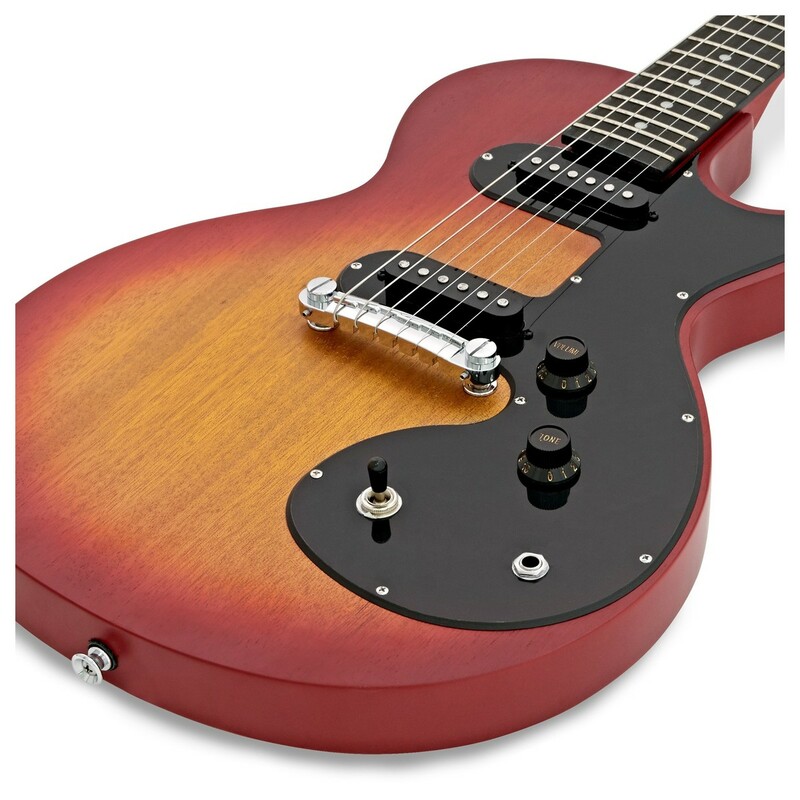 As well as the light weight body, the SL also has a bolt-on mahogany neck with 22 medium-jumbo frets for convenience while playing. 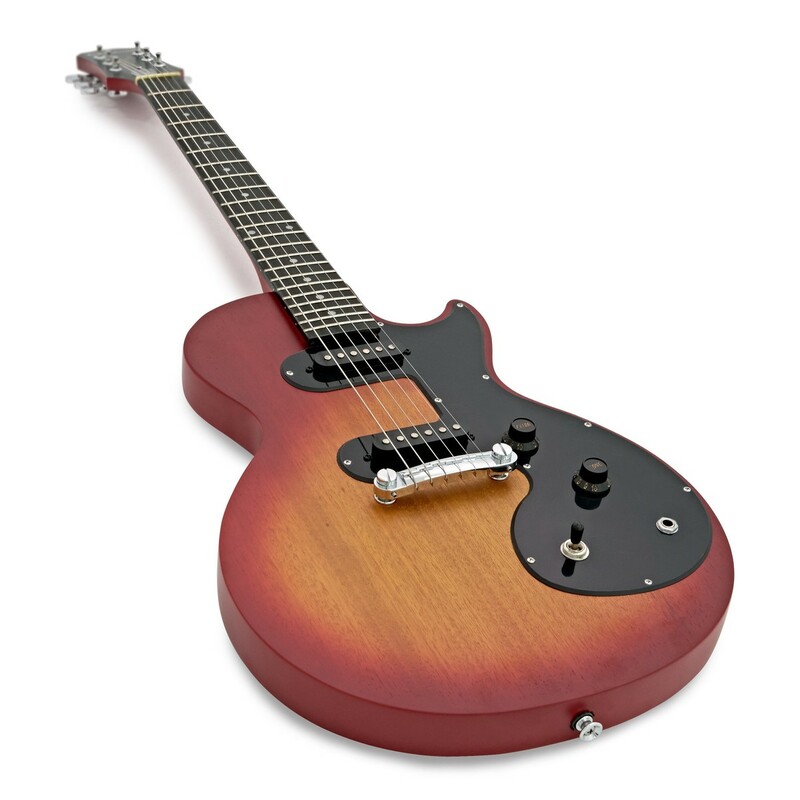 This guitar is a great introduction to the rock n roll classic, Les Paul. The Les Paul SL has a beautiful poplar body in the classic Les Paul shape with elegant contours and a cut out space towards the base of the neck to give the player easier access to the higher frets. Poplar is one of the softest hardwoods used in guitars today, and delivers a well balanced tone. 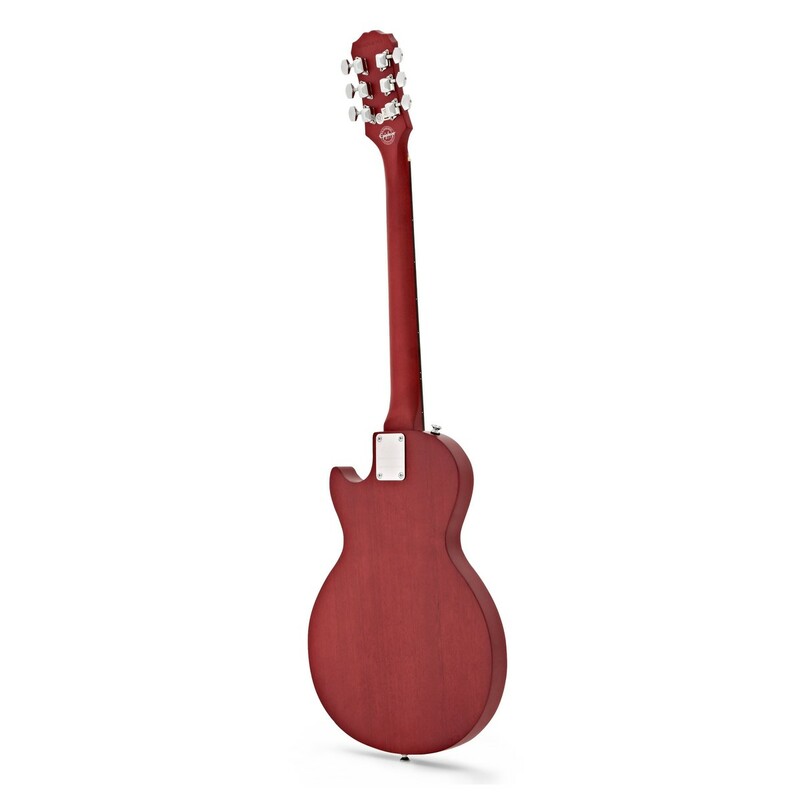 To couple with the poplar body, the Les Paul SL also comes with a bolt-on solid mahogany neck, fitted with a rosewood composite fingerboard and 22 medium-jumbo frets for comfort and range of sound. The mahogany and rosewood combination offers a warm, mellow tone, with complex highs, thick and creamy lows and an appealing midrange. Loaded with two Epiphone single coil pickups, the Les Paul SL produces a sound which will captivate any rock fan. 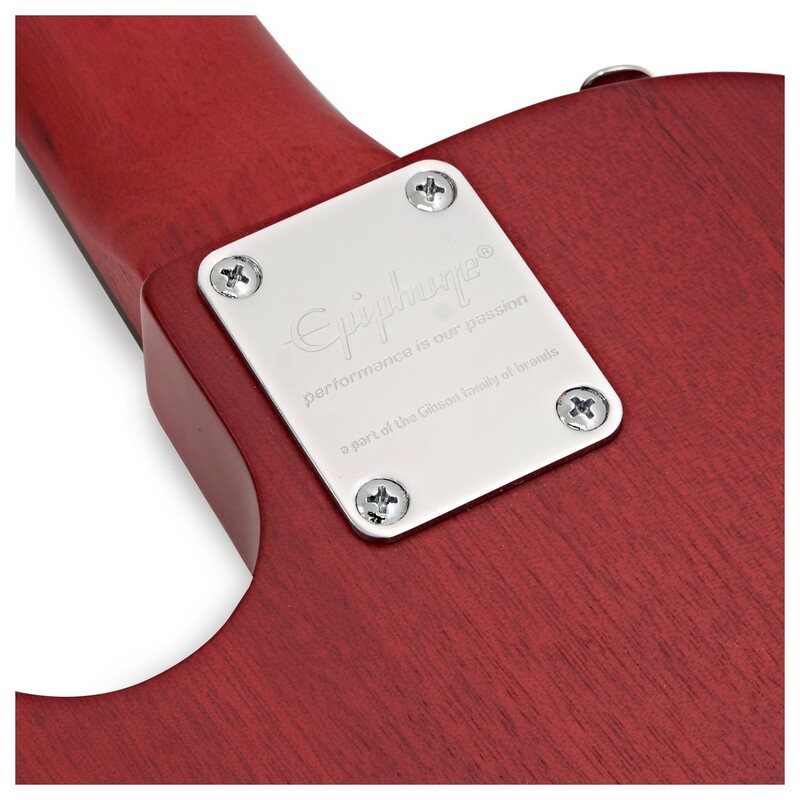 The Epiphone ceramic magnet range offers a blend of classic and modern sounds, maintaining clarity but emulating rich and subtle tonea with a smooth midrange and a pronounced cut on the top end.